Based in the Orlando office of Rumberger, Kirk & Caldwell, Steven Klein focuses his practice on warranty and product liability cases. He also defends claims involving premises liability and general negligence allegations. Steve talks about his work and his personal passions for cars and scuba diving. Steve, can you tell us a little bit about how your practice has evolved? I joined Rumberger after I completed law school more than 10 years ago. Right away, I was given the opportunity to work on a wide variety of cases. Over the years, I began focusing my practice on product liability and breach of warranty/Lemon Law defense. Most of my clients manufacture motorized vehicles – passenger cars, trucks, motorcycles, off-road vehicles, motor homes, boats and marine engines. I enjoy working with the manufacturers, digging into the details of the plaintiff’s claims and building a case. The first product liability case I tried involved a motorcyclist who was clearly inebriated when the accident happened. While the plaintiff claimed a manufacturing defect caused him to lose control and hit a telephone pole, we were able to show that the plaintiff’s alcohol intoxication was likely the real cause of the crash. Even though they don’t involve injuries, warranty cases present their own challenges. Often, the cases involve claims of “intermittent” issues. Further, unlike a product liability case where the product is generally preserved in its post-accident condition, breach of warranty consumers continue to use the vehicles and can put substantial amounts of mileage on the vehicle between the time the case is filed and trial. How do you approach a case? My approach to every case is to focus upon early evaluation and, where appropriate, avoid unnecessary litigation and expense. The first thing I do upon receiving a case is to review the information and materials from the client and assess whether additional information is needed to make an early recommendation for case handling. We also research publically available information and, when necessary request related information from the plaintiff’s attorneys. Once we have evaluated the case, we present the options to our client and, based on our understanding of the client’s business and their goals, we make a recommendation. Many times we are looking for the best, most economical way to resolve a case. We may work with the plaintiff’s attorney to reach an early resolution through mediation or it may be in the best interest of our client to defend the case through trial. What are the biggest challenges facing manufacturers related to the Magnuson-Moss Warranty Act and Florida’s Lemon Law? As I mentioned earlier, one of the unique aspects of defending claims under the Lemon Law or Magnuson-Moss Warranty Act is that the plaintiffs generally continue using the vehicles throughout the life of the case. In some instances, the plaintiff may experience new issues with the vehicle and try to include them in the case. Also, the Magnuson-Moss Warranty Act contains a provision that allows a prevailing plaintiff to recover attorneys’ fees from the manufacturer. It can be challenging for a manufacturer to obtain the information needed to evaluate the case while at the same time minimizing the exposure to increasing attorneys’ fees. What advice do you have for attorneys who are just entering the profession? One of the most important lessons I learned is to work hard and try to make yourself indispensable. When you do, you’ll impress your firm’s partners and clients. And, as you develop long relationships you’ll also attract new clients. Some of the best advice I can give is to look for mentors both inside and outside your firm. Tell us how you like to spend your time outside the office. I am a classic/muscle car enthusiast and avid scuba diver. My every day car is a Dodge Challenger R/T that I have mildly customized and I also have a 1969 Plymouth GTX and a 1970 Plymouth Barracuda. For a few years now, I have been a “Long Hauler” on the Hot Rod Power Tour, which is dubbed as “the biggest traveling road show car show anywhere in the world”. Sponsored by Hot Rod magazine, the tour covers seven cities in seven days and the destinations change from year to year. 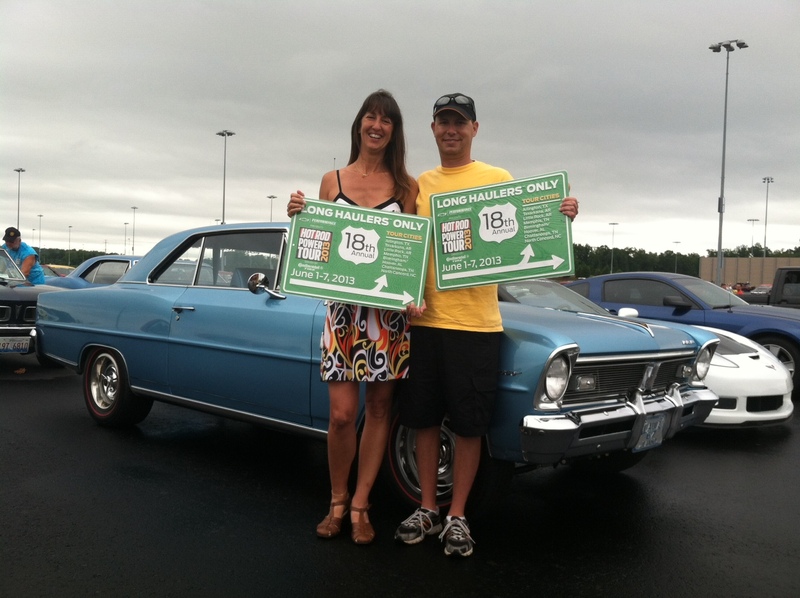 We drive my girlfriend’s 1967 Acadian (GM of Canada version of a Chevy II). In 2011, we started in Cocoa Beach and ended in Detroit. Last year we went from Detroit to Arlington, TX. This summer we drove from Arlington, TX to Charlotte. I’ve met a lot of great folks, seen some amazing places that I may otherwise have missed, and built some incredible memories. Seeing the incredible variety of cars and meeting other car-crazy people is a lot of fun. While I am not big on social media, I recorded our experiences in a blog. When I am not taking the cars out for a cruise or tinkering in the garage, I try to get out diving. Being in Central Florida, I have convenient access to both coasts and there is great diving on either side. I have been diving for over 20 years. It is a great way to escape. After all, you can’t hear the phone ring when you are drifting along a reef or wreck underwater. Coincidentally, my hobbies dovetail very well with my work. Not only do I appreciate cars and have some general mechanical knowledge, which helps in the automotive cases, but my knowledge and experience with scuba diving and boating is very helpful representing clients in the marine and diving industries. In fact, I am working with another partner on some product liability claims involving some dive industry products.